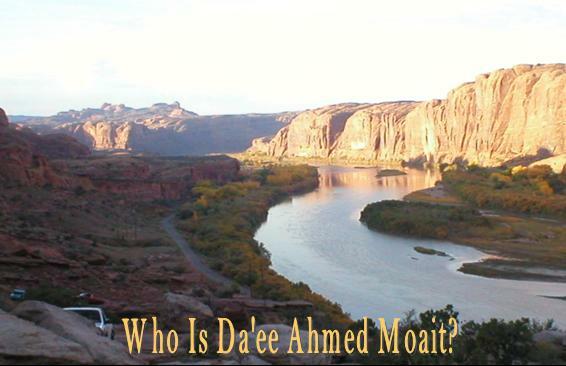 Who Is Daee Ahmed Moait? Home > Articles > Who Is Daee Ahmed Moait? 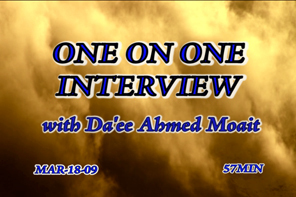 Interview With Daee Ahmed Moait? Where is He from and Where is He Going? He's a man originally born in Egypt. He emigrated to the U.S. in 1979, where he worked as a computer engineer for approximately 15 years. During this time he realized his journey to Allah and to Islam. And Spread It To The Maximum Of My Ability. In a time during attacks against Islam, from inside and out, by us, or others (attacks through innovation, new ideology and groups), these groups are fighting over differences in fiqh (regulations) which already exist in the history of Islam, and forget the message, the duty, love of Allah, love of the Rasul (sallallahu alaiyhi wa sallam – peace be upon him). That The One Allah Has Given To Us Already! They forgot our history of Iraq, Tatar, and Mongolia. We forget the history of Andalusia, the Ottoman Empire. Allah Has Made Us Forget Ourselves"
The Creator, And The Almighty"
With My Love, My Devotion, And My Thinking. And Has Already Given To Me." One Group Will Like You And One Group Will Hate You. And People Will Forget The Message." If you fear Allah, if you love Allah, and if you believe in Allah, listen and try to benefit yourself. I'm a human being, I'm carrying a message. I have my goodness, I have my weakness, I have my faults, I have my mistakes, and I have my sins. May Allah forgive me and forgive all of us. Please, if you want to benefit yourself, listen with your heart and try to see what this man has to say. His Mistakes, And His Pronunciation! But We Must Go Back To The History! And The Ability To See What's Right And What's Wrong. He's The Only One Who Can Do That. If you want to know whether what I'm saying has goodness or not, call Allah and ask Him. If I’m wrong, may Allah forgive me, I only try. Whatever I do right, may Allah make it only for Him and reward me in this life and the hereafter. "Alhamdu'lillahir Rabbil Alameen (Thanks To Allah)"
In Everything We Say And We Do.